Bayshore’s Z Crown offers the ideal balance of metal-free strength and naturalistic beauty. Each completed design is inspected for quality before and after milling. We mill only medical grade, isostatically pressed zirconia. We maintain our mill and tools for high precision, micro fracture free restorations. Z Crown zirconia is intermediate between the strength of BruxZir® and the esthetics of Zirlux®. Materials science meets classical artistry. Our Z Crown™ combines a highly translucent crystal zirconia core with expertly layered e.max Ceram porcelain for the ultimate in esthetics. Z Crown™ offers flexural strength equivalent to traditional porcelain-fused-to-metal restorations, but eliminates the gingival darkening some patients experience with non-precious or semi-precious PFMs. Since the zirconia core is similar to the color of the patient’s tooth, exposed metal margins due to gingival recession are a thing of the past. We design each coping to maximize porcelain support and marginal integrity. That’s why Z Crowns™ seat easily, maximize patient satisfaction, and generate referrals. Once placed, Z Crown™ blends with the patient’s existing dentition through its ability to transmit the color of adjacent teeth. Our master ceramists can match the shade and character of any natural dentition and excel at the harmonious combination of zirconia and porcelain. Z Crown™ Solid is full-contour zirconia for the ultimate in durability. Up to 1600 MPa of compressive strength for restorations that withstand the forces of nature and the tests of time. Painstakingly glazed and polished to reduce wear on opposing dentition. Carefully designed to balance patient-unique occlusion with ideal morphology. Expertly stained to bring inert zirconia to life. After many years of practice, and many thousands of cases, we have the experience and technique to produce art in zirconia. Finally! Full contour Zirconia for the Esthetic Zone. The crystal microstructure that makes Z Crown™ Anterior an esthetic zirconia system is responsible for its extremely high translucency and outstanding properties. As a result, unlike glass ceramics, up to three-unit bridges and posterior restorations can be manufactured. The impressive appearance of Z Crown™ Anterior is derived from a typical zirconium material. Since the only difference is crystalline structure, the result is a biocompatible, high-performance ceramic with high flexural strength and fracture toughness. Take the best of both worlds. Place the best of the best. Metal-free, biocompatible, and precision milled: Z Crown™ Plus is a true hybrid of zirconia and porcelain. 1350 MPa of flexural strength on the occlusal means tough restorations for tight locations. Better still, the crystal zirconia core of our Z Crown™ Plus is highly translucent, yet three times as durable as comparable porcelain for fracture-free restorations. All of the finishing work that makes our Z Solid™ so realistic—the idealized design, the hand-painted stain, the mirror-smooth polish—is amplified in our Z Plus. Once the core is formed, e.max Ceram porcelain is layered on the buccal surface for lifelike, highly esthetic results with true-to-nature light scattering and a balanced relationship between brightness and chroma. We think our Z Crown™ Plus is the pinnacle of our zirconia artistry. We think you’ll agree. Among the most versatile restorative options available. The IPS e.max® system is among the most versatile restorative options available. IPS e.max is a lithium disilicate glass ceramic that has optimized translucency, durability and strength for full anatomical restorations. Pressed IPS e.max simulates the opalescence, translucency and light diffusion properties of a natural tooth for ideal beauty and undetectable porcelain crowns. Conventionally cement using resin cements or bond for maximum retention on nonretentive preparations. IPS e.max CAD restorations exhibit superior durability featuring 360-400 MPa of flexural strength. When fabricated to full-contour, the monolithic structure is the most robust ceramic system tested to date. * IPS e.max is a registered trademark of Ivoclar Vivadent, Inc.
Every product Bayshore offers is supported by clinical data and subject to rigorous quality control for optimal consistency. Bayshore’s product line includes the most clinically proven and time-tested restorative options. Bayshore also actively evaluates materials and technologies to ensure our practices have access to cutting-edge advancements. Bayflex™ exclusive thermoplastic is lightweight, comfortable and practically invisible. Z Crown™ Solid is full-contour zirconia for the ultimate in durability. 100% biosafe, FDA approved, and perfect for patients with cosmetic considerations. Our Z Crown combines a highly translucent crystal zirconia core with expertly layered e.max Ceram porcelain for the ultimate in esthetics. Z Crown offers flexural strength equivalent to traditional porcelain-fused-to-metal restorations, but eliminates the gingival darkening some patients experience with non-precious or semi-precious PFMs. Since the zirconia core is similar to the color of the patient’s tooth, exposed metal margins due to gingival recession are a thing of the past. We design each coping to maximize porcelain support and marginal integrity. That’s why Z Crowns seat easily, maximize patient satisfaction, and generate referrals. Once placed, Z Crown blends with the patient’s existing dentition through its ability to transmit the color of adjacent teeth. Our master ceramists can match the shade and character of any natural dentition and excel at the harmonious combination of zirconia and porcelain. Z Crown Solid is full-contour zirconia for the ultimate in durability. Up to 1600 MPa of compressive strength for restorations that withstand the forces of nature and the tests of time. Metal-free, biocompatible, and precision milled: Z Crown Plus is a true hybrid of zirconia and porcelain. 1350 MPa of flexural strength on the occlusal means tough restorations for tight locations. Better still, the crystal zirconia core of our Z Crown Plus is highly translucent, yet three times as durable as comparable porcelain for fracture-free restorations. All of the finishing work that makes our Z Solid so realistic—the idealized design, the hand-painted stain, the mirror-smooth polish—is amplified in our Z Plus. We think our Z Crown Plus is the pinnacle of our zirconia artistry. We think you’ll agree. The crystal microstructure that makes Z Crown Anterior™ an esthetic zirconia system is responsible for its extremely high translucency and outstanding properties. As a result, unlike glass ceramics, up to three-unit bridges and posterior restorations can be manufactured. high flexural strength and fracture toughness. 100% biosafe, FDA approved, and perfect for patients with cosmetic considerations. Z Crown Anterior™ is a monolithic milled ceramic, which keeps costs low compared with painstakingly layered ceramics. Z Crown Anterior™ is suitable for affordable, but highly aesthetic monolithic treatments, for both anterior and posterior restorations. IPS e.max Porcelain Crowns - Among the most versatile restorative options available. Bayshore’s SiMPLiCiTY® Implants line lets you focus on what matters. SiMPLiCiTY® is a complete package: CAD/CAM custom abutment, crown, screw, analog, tissue, and expert guidance–all for one low price. Take the guesswork out of your implant overhead. Focus on the patient. Bayshore’s experts handle the rest. Check the SiMPLiCiTY compatibility page to see if your system is supported. Our skilled technicians design custom abutments to create an ideal emergence profile that promotes healthy tissue development and to place margins uniformly below the gingiva. In addition, the use of a custom abutment allows corrections to be made in angulation with anatomical structure for better support and crown retention. Lab Analogs are specifically designed to replicate the exact external and internal geometry of your chosen implant system. Our traditional model work, and CAD/CAM technology allow us to work with nearly every major implant system in the world. Implant screws are machined to exacting tolerances. We believe every part of your implant case should be equally precise. The SiMPLiCiTY price includes all lab materials and the compatible clinical screw. Your patients expect perfection. Team up with our experienced implant department, and surpass their expectations. From treatment plan, to collaborative design, to final restoration—you have the skill, we have the tech. Soft tissue contours are critical to fabrication of fixed and removable implant prosthetics. To ensure that the emergence profile of fixed abutments replicates natural tooth aesthetics, we carefully recreate the gingival margin and measure the thickness of the soft tissue. After creating your custom abutment, our team designs the corresponding crown according to your specifications. Choose from highly esthetic e.max, durable ZCrown, or traditional PFM. Our exclusive thermoplastic is lightweight, comfortable and practically invisible. Metal clasps are heavy, stiff and conspicuous. Our experience with flexible partials, and our pliant Bayflex material, allows us to reline or add teeth to existing appliances. Patients appreciate this long-term value and versatility. Chairside adjustment is rarely necessary, but Bayflex can easily be modified to suit your unique patient. Restore patient your patient’s confidence with our comfortable, affordable Bayflex partial. Bayflex™ Single Bayflex is lightweight yet durable, esthetic yet cost-effective. The same features that make Bayflex such an effective partial make for the ideal implant healing appliance. We took our bestselling Bayflex material and added precision clasps for maximum retention. We fabricate from a pre-op impression, so your patient can walk out of surgery with a functional and esthetic provisional they can rely on. Patients easily adapt to their new Bayflex Single and many dentists can’t imagine prescribing anything else. Provide your next healing patient with a clinically unbreakable, perfectly shaded, and practically invisible Single Tooth Bayflex. Every denture, bridge, crown and implant that you place represents your practice. Bayshore understands that when your reputation is on the line, you want the best. The Bayshore core team consists of Certified Dental Technicians with technical mastery, years of experience, and a commitment to customer service. Every client has a dedicated CDT managing every aspect of their casework along with an Account Manager to provide superior logistical support. Our lab is proud of our industry achievements, which include being recommended by 93% of Dr. Gordon J. Christensen’s Clinicians Report (CR) evaluators for our Bayflex™ flexible partials. CR provides dental clinicians with objective information about the year’s top-rated dental products. Bayflex was featured in the 2013 Guide. With our focus on practice partnership, we provide integrated collaboration for every client. Our Customer Portal makes working with Bayshore simple, and we focus on your individualized preferences. Plus, we offer an innovative 3D Digital Preview Service & treatment planning solution. With doorstep UPS pickup, quick turnaround options, and the ability to review cases in real time with your certified technician, we guarantee your product delivered perfect and ready to set. Our machines mill your crowns. Our experts answer your phone calls. Bayshore has worked with thousands of office staffers and provides productivity and collaboration tools for clerical and clinical needs. At Bayshore, we pride ourselves in offering personal service, consistent quality and on-time delivery. If I ship a case to you today, when can I expect it back in my office? We guarantee to have it in your office in 10 workings days, from the date received at Bayshore. However, we do offer repairs, adjustments, custom trays and bite rims in less time. We can rush certain cases, however we ask that you call before shipping the case, so that we can schedule your case in advance. Also, do you have one of our production calendars, which gives you an easy reference for our production dates? I’m happy to have one mailed to you, along with our latest fee schedule. (If asked) How much is the Rush Fee? Fixed: $75 for first tooth; Every additional tooth is $35/tooth. Can you rush a Bayflex case? Bayflex is our #1 product. Due to high demand, we can guarantee the case in your office in 10 working days, from the date received at Bayshore. However we do understand some cases are emergencies. If you can provide the patient’s name, and the date you are requesting the case back, I will create an alert for our techs to prioritize the case. If for some reason we can’t meet your due date, we will call you immediately. How much is shipping? Unlike most labs, we do not charge shipping on a per-case basis. We add a $12.00 shipping charge on one invoice per box, whether there’s three or 15 cases enclosed. We also offer a “Bundle Shipping” Program to help customers with shipping costs. You can determine the day(s) you would like all of your cases shipped to your office, including the method of shipping. Or you can choose the minimum amount of cases to ship at once. When choosing the Bundle Shipping program, we recommend that you schedule patients’ Seat Dates once cases are delivered. Many of our customers take advantage of these programs. What does the portal allow me to do? It’s a direct online connection with our lab, allowing you to create/update cases, schedule a pickup, order supplies, pay online and more! I can schedule a 10-minute demo for you to show you all the bells and whistles. You’ll love it, as it saves you time and keeps you off the phone. How do I order supplies – it won’t let me drag items in the cart? In our portal, scroll over to the item you’re trying to order. When the “four-way” arrow appears, right-click and drag the item to the right side of the page, where your order cart is located. How do I find out what my Account Number is? I can provide that info for you right now. Also, your account number appears on your monthly statement. I’m trying to schedule a UPS pick-up, but it keeps saying “error.” What do I do? Let me schedule a pickup for you right now, and then help you troubleshoot. Have you sent a case to us before? Only Active customers can schedule UPS pick ups via Customer Portal. Something may be wrong with your address. Can I confirm this with you? Also, your pick-up time should be “prior” to UPS “Cut-Off” time. Where do I find your RX form, learn how to pack and send a case, print a UPS label, etc.? Go to our website at BayshoreDentalStudio.com, and look for “Send Your Case” in the left-hand column, we have online order forms, information about packing your case, a way to print UPS labels and more. How does it work? It’s a quarterly or year end reward system based on the dollar amount of lab work sent during the specific time period. Where can I get more information about this program? Where can I print redemption certificates, find deadline dates, or read the details of this program? All information is on our website www.bayshoredentalstudio.com/rewards. What do I do to redeem my reward? Simply log on the portal and print all three monthly statements in that quarter. Fill out the back of the appropriate redemption certificate and mail it in with your statement summary. What is a Bayflex? What is made of? It’s a flexible partial, made from our own proprietary material, primarily nylon base (not acrylic). Clasps and teeth can be added. Bayflex can be adjusted/repaired, and it can be re-based. Would you like me to mail some more info about this product to you? What’s the difference/benefits in your Bayflex as opposed to other flexible products on the market (Valplast, DuraFlex, etc.)? We’re different in several ways. Bayflex partials can be repaired, and teeth and clasps can be added. Many of the other flexible partials don’t offer these benefits. Also, we offer five different types of tissue shades, and Bayflex will not warp or become brittle. It’s virtually invisable, and it’s the ONLY flexible parial featured in Dr. Gordon J Christensen’s Clinicians Report, Best Product Guide (Dec. 2013). Would you like for me to mail more info about this product to you? Can I repair chairside? Can it be relined? We’re happy to repair and/or rebase our Bayflex partials at our lab, where our experts are specially trained on this procedure. What do I use to clean the Bayflex? Do you offer cleaner? An ultrasonic cleaner (non-chemical, non-abrasive) is mostly recommended. We are currently in the process of developing our very own BayClean. In the meantime, we do provide our customers with a free Bayflex Adjustment Kit and Shade guide with your first Bayflex case. Also we provide a “Caring for your Bayflex” card for you to provide your patients. This is shipped with every Bayflex case. What’s a Bayflex Single-Tooth Healing Appliance? What are the benefits? It’s a perfect, affordable solution for single-tooth replacement, with all the benefits. It’s fabricated the same way as our Bayflex partials. Bayflex Single-Tooth partials are an ideal Implant healing appliance. Also, it’s a terrific ortho space maintainer. Did you know Bayshore employs the very first Certified Implant Technician in the state of Florida? Would you like me to mail additional info on our Implant/Simplicity Program to you? Who is a perfect candidate for Bayflex? We recommend the Bayflex Single Tooth for cases where we are only replacing one tooth. We recommend Bayflex Partials for cases missing 2+ teeth. However if your patient is completely edentulous in the posterior region, we recommend our Bayflex Hybrid, or you may simply add Metal Mesh for extra support. What’s a Bayflex Hybrid? Bayflex Hybrid is the best of both worlds. We fabricate a metal frame (Cr/Co – Vitallium Cr/Co) for the additional support your patient will need, and fabricate the Bayflex over the frame using esthetic clasps on the anterior teeth (your choice of tissue shade). So the metal is virtually invisable once inserted. You get the stability needed with the esthetics of a Bayflex. Can you fabricate a full denture using your Bayflex material? Yes we can, however we do not recommend this procedure, and it is not covered in our warranty. Whenever we’ve tried doing this in the past, the material is just too flexible. But it really depends on the anatomy of the patient’s mouth. We’ve had a few successful cases when the anatomy of the arch allows better suction, and we can make the upper/base material thicker. Can Bayflex clasps be added to Acrylic Partials? Yes it can be added. Many of our customers ask that we add Bayflex clasps to Acrylic partials for the esthetics, and we can add clasps in your choice of tissue shade. What is the difference between Conventional Cr/Co frame and a Vitallium Frame? Vitallium is Cr-Co without Nickel. Vitallium is lighter and it can be easily polished. In many cases, Vitallium is used whenever patients have allergies, as removing the nickel helps their condition. What’s the difference in your three Z Crown products? What candidates are best for each? Zcrown: Porcelain Layered Zirconia; Best used for anterior teeth. Zcrown Solid: Full contour Zirconia; Best used for posterior teeth. Zcrown Plus: Full Zirconia with Porcelain layered surface; Used for either/or anterior/posterior with the strength of a Z Crown Solid, and the esthetics of a Z Crown. What prep design is recommended for Emax and Zirconia? Shoulder or Chamfer. We do not recommend Feather-edge prep. I’m happy to mail prep guides to you if you like? What cement is recommended for Zirconia and Emax crowns? We recommend Multilink for both Zirconia and Emax. We also recommend Ivoclean for Zirconia, before cementing. Would you like me to mail a Cement Selection Guide to you, provided by Ivoclar? Can you do a Posterior Emax Bridge/Span? Posterior bridges are not recommended for Emax. Only from the Bicuspid forward. We recommend one pontic only, with a span of no more than 4 units. Span for Zirconia Bridge and recommended Pontics? Although full upper an dlower splints can be fabricated, we do not commit to this until reviewed by a tech. Pontic Span, connector size, etc., determine fabrication success. Which all Ceramic product is strongest & more esthetic? Zirconia Frameworks are stronger than Emax, However if you layer the zirconia the overlay porcelain is not as strong. Emax are more esthetic. I’ve heard of your lab, but don’t know much about you. Can you tell me more? We’re a full-service dental lab offering the best in restorative, cosmetic and implant dentistry since 1992. We’re among the top 7% of labs in the U.S., with significant investments in CAD/CAM technology, including the latest in 3D digital preview services. Our lab is proud of our industry achievements, which include being recommended by 93% of Dr. Gordon J. Christensen Clinician Report (CR) evaluators for our Bayflex™ flexible partials. CR releases its annual buying guide each December, providing dental clinicians with objective information about the year’s top-rated dental products. We also offer dentures, Z Crown™ zirconia, IPS e.max® porcelain crowns, SiMPLiCiTY® implant products, and more. • Direct-To-Tech Calls: Clients always get direct phone access to their Certified Dental Technicians (CDTs), ensuring the best quality and timeliness for patients. • Non-Nonsense Guarantee: We stand behind our products and services with a five-year, 100% guarantee. • Online Customer Service Portal: Clients can log-in to our online portal and update their cases, print shipping labels, schedule pickups, pay invoices and more – a huge time-saver for all! • Referral Program: Our clients get rewards for referring us to others. • 3D CAD/CAM Design: We accept digital scans from Sirona, Itero, Trios and STL files. Clients can view and customize their cases, with their assigned CDT, in an online 3D environment. 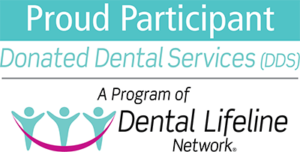 • From a charitable standpoint, Bayshore Dental Studio is a proud member of the National Association of Dental Laboratories, and a platinum sponsor of the West Coast Dental District and a frequent donator of restorations to Donated Dental Services. Do you ship cases off shore? On occasion, we partner with several sister labs (many are local) to assist us with overflow when our techs are in training. These partnerships help us deliver on our 10-day guarantee. We also return the favor when needed. (If asked) “Do you fabricate in China?” All materials used to fabricate our products are primarily U.S.- and German-based. Details of all the materials we use are found on the back of our invoice and prescription form. Where is your lab located? Can you handle my business in ? Yes. We’re a full-service dental lab based in Tampa, Fla., but we serve clients all around the U.S.
What type of upgraded teeth do you offer for your removables? Image and Ivoclar, or whatever you request. If we don’t have it in stock, we will order it for you. What are the different tissue shades you offer? We offer five different tissue shades: Clear, Light Pink, Pink, Medium Meharry, Dark Meharry. What materials/enclosures do I need to send to you to get this case started? (Removable/Fixed) For removables, it’s always recommended to send impressions or models of the arch that we will be fabricating, along with opposing models and bite. For fixed, we recommend impressions of prepped teeth, opposing, and bite, or you may use a triple-tray impression. What do I send to your lab if I have a denture that needs to be relined? We’ll need you to first rebase the denture with low viscosity reline material, then return the denture to us, with bite registration and opposing model/impressions. Adding a new tooth to a partial: $35/tooth. B) If past one-year warranty, $50 per arch. C) If adding clasps, $35/clasp. Repairing broken clasps: $0 (if returned and under one-year warranty). Fill out the simple form below and a sales representative will speak with you within 24 hours!